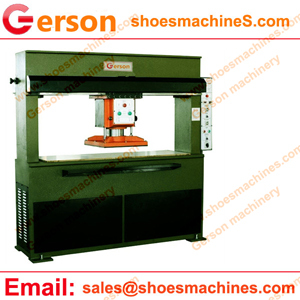 Shoelace String travelling Head Cutting machine. 1.Easy to operate with high safety. 2.Cutting board micro-movement device can be allocated to evenly consume the cutting board and save cost. 3.The cutting head can automatically move horizontally, with excellent operating visual field and safe and reliable operation. 4.Adopt double oil cylinder, four-column, precise double-crank connecting rod mechanism. 5.Material feeder available for saving labour force. 6.Special specification of machine can be changed according to your request.